Katia Ricciarelli, a lyric soprano voice with an individually sweet timbre, and a lovely stage presence that complemented her voice. She was one of the most touching Giuliettas (I Capuleti e i Montecchi), Desdemonas, and Anna Bolenas on the operatic stage, and had a special affinity for Rossini’s music, enjoying great success in such roles as Bianca (Bianca e Falliero), Elena (La donna del lago), and Amenaide (Tancredi). She came from a very poor family and after graduating from school, worked to afford the time and money to study at the Benedetto Marcello Conservatory in Venice, where she worked primarily with Iris Adami Corradetti. She made her operatic debut as Mimì in Puccini’s La bohème, in Mantua, Italy. Her appearance in Cherubini’s Anacréon the next year in Siena created a small sensation, followed by a greater one when she won the Parma Verdi competition, followed in 1971 by her winning the Voce Verdiane competition. Largely on the strengths of these triumphs, in 1972, she debuted at the Lyric Opera of Chicago as Lucrezia in Verdi’s I due Foscari, and at the Rome Opera as Verdi’s Giovanna d’Arco. In 1974, she made her Covent Garden debut as Mimì. Her Met debut was also in La bohème in 1975, and her La Scala debut was in 1976 as Suor Angelica in Puccini’s Il trittico. Like many singers, her voice became larger as she matured, allowing her to take on such roles as Verdi’s Desdemona and Luisa Miller. Guided by Karajan, in the early 1980s, she began to sing roles that were considerably more dramatic, such as Tosca, Aida, and even Turandot (though only in the recording studio.) She also appeared as Desdemona in the 1986 film of Otello with Placido Domingo, directed by Franco Zeffirelli. In 2005 she won the best actress prize Nastro d’Argento, awarded by the Italian film journalists, for her role in Pupi Avati’s La seconda notte di nozze. 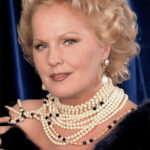 In 1991 she founded Accademia Lirica di Katia Ricciarelli, and, since 2003, she has been Artistic Director of the annual summer Macerata Opera Festival. Born in Milan, baritone Armando Ariostini began his studies with Lia Guarini, then continued at the “School for opera artists of the Teatro alla Scala” under the guidance of Masters Edoardo Muller, Giulietta Simionato and Gina Cigna. In this period he was a finalist and winner of numerous international competitions including “Voci Verdiane” in Busseto, “Maria Callas” organized by RAI, “Laboratorio Lirico” of Alessandria and “Achille Peri” in Reggio Emilia. In 1984 he performed the role of Einstein in the Pipistrello at the Teatro La Fenice in Venice, where he returned, following the great success, in numerous other productions: From a house of the dead (Siskov), La Bohéme (Marcello), Crispino and Comare (Fabrizio), Theatrical conveniences and inconveniences (Prospero and Procolo), The mad pretend of Sacrati, Beatrice di Tenda (Filippo), The Merry Widow (Danilo) and recently the Carmina Burana (with the realization of the CD in favor of reconstruction of the Theater). Ranging from the classical-operatic repertoire to the operatic and modern repertoire, from comic to dramatic roles, thanks also to the strong qualities of singer-actor, Armando Ariostini has been invited to important theaters and festivals in the world and has worked with directors, directors and singers of international fame: at the Teatro alla Scala (Carmen at the inauguration of the 1984/85 season under the direction of Claudio Abbado and directed by Piero Faggioni, Journey to Reims again with Claudio Abbado and directed by Luca Ronconi: The fall of the house Usher, Pollicino, Les Noces and finally protagonist in L’occasione do the thief with the direction of Daniele Gatti and the direction of Ponnell), in Buenos Aires, the Staatsoper and the Bayerischer Rundfunk of Monaco, Bordeaux, in Avignon and in Genoa in the role of Figaro del Barbiere di Siviglia (“the Figaro of Ariostini shines to the point of making all the Figari in the world second”, Suddeutsche Zeitung), in Santiago de Chile in Manon Lescaut and Faust, at the Opernhaus in Zurich in Bohéme, Elisir d’amore, and next to the Gruberova in Linda in Chamonix. Among the approximately 85 roles performed by Ariostini we can count some works, performed as a protagonist, in the world premiere as: Il Viaggio by Fabio Vacchi, The broken pitcher by Flavio Testi, The cat with boots by Marco Tutino and The banquet by Marcello Panni. His recordings are numerous. In Monte Carlo for the Grand Gala of Prince Ranieri he sang with Katia Ricciarelli in Susanna’s Secret and subsequently was a guest of honor next to Placido Domingo. Among the latest important commitments we mention: Cinderella (Dandini) with great success in Sao Paulo, Pagliacci in Baltimore and Catania, Carmina Burana in Verona and Santa Cecilia, Fedora (De Ciriex) with Daniela Dessy and Placido Domingo at the Opera in Rome , Turandot (Ping) in the important production of Hugo De Ana at the Caesarea Festival in Israel and at the National Theater of Tokyo and Baltimore, One day of reign in Bologna, The Banquet in Genoa, Florence, Rome, Lady in the dark with Raina Kabaiwanska in Rome. She has just finished shooting the film Tosca and two others (in the role of Scarpia) which will participate in the Berlin Festival. 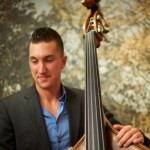 Adrian Sylveen enjoys a performing career both in the United States and in Europe. 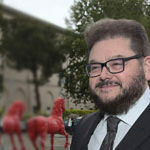 He is a founder and the artistic director of the Connecticut Virtuosi Chamber Orchestra, the Connecticut Lyric Opera Company, and the Classical Orchestra of Pila in Poland. From 2011 to 2013 he was a conductor for the Magnum Opus series with the New Britain Symphony – The Connecticut Virtuosi. He was also a frequent guest conductor with several leading Polish orchestras, including Olsztyn Philharmonic, Elbląg Chamber Orchestra, and others. He is also a founder of the newly formed, Hartford based Moniuszko Choir (2016). Since 2012 Adrian Sylveen is on faculty of the Virtuosi Summer Music Institute at Tunxis College in Farmington, Connecticut, and, since 2015 a director of the Greve Opera Academy and Chamber Music Festival in Greve-In-Chianti, Italy. In his career so far Adrian Sylveen has conducted approximately 35 operatic titles, more than 70 symphonies, and numerous concertos and chamber orchestral music works, with special emphases on music of Italian and Slavic heritage. An active violin soloist as well as conductor, he has conducted and performed concerts in United States, Poland, Italy, Israel, Switzerland, Germany, and former Soviet Union. Adrian Sylveen collaborated with many exceptional artists such as Brunilda Myftaraj, Eckart Lorenzen, Luca Rinaldi, Theodore Arm, Jurate Svedaite, Carl Tanner, Jorge Pita Carreras, Michael Wade Lee, Steven Frederiks, Neal Larrabee, Dmitri Novgorodsky, Rafael Lewandowski, Andre Anweiler, Martin Bresnik, Jadwiga Kotnowka, Marzena Diakun, Grzegorz Dabrowski, Daniel Borowski, Thomas A. Labadorf, Michael Gatonska, Volcan Orhon, Robert DeMaine, and many others. 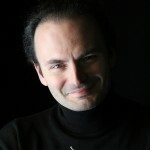 Adrian Sylveen holds Master and post-Master degrees from the Yale University School of Music, where he studied with Prof. Erick Friedman, Peter Oundjian, and other members of the Tokyo String Quartet, and Paderewski Music Academy in Poznan, Poland (diploma with distinction) in the class of Prof. Jadwiga Kaliszewska. His other earlier important teachers were Barbara Schwartz, Jerzy Hazuka, Thaddeus Kochański. Adrian Sylveen is a winner of prizes at competitions in Poland and in the United States, and had participated in several international Festivals such as Weimar, Łancut and others. He received the American Council for Polish Culture award (“for his eminent performances as conductor and violinist in U.S and Europe”), “Primus Inter Pares” Award given by the President of the Republic of Poland. He was awarded permanent US residence for “Extraordinary Abilities in the Arts”. Possessing a vocal artistry and stage presence capable of “transfixing audiences with moments of opera magic,” Lithuanian soprano, Jūratė Švedaitė, has performed throughout Europe and the United States with the Lithuanian National Chamber Orchestra, Connecticut Lyric Opera, Eastern Connecticut Symphony Orchestra, Connecticut Virtuosi Chamber Orchestra, Kaunas (Lithuania) Chamber Orchestra, Classical Orchestra of Piła (Poland) and the Lithuanian National Ensemble “Lietuva” among others. On the stage, Ms. Švedaitė has performed more than 20 leading roles including Cio-cio San in Madama Butterfly, the diva Tosca, Violetta in La Traviata, Mimi in La Bohème, Contessa in Le Nozze di Figaro, Donna Anna in Don Giovanni, Desdemona in Otello, Senta in Die Fliegende Hollander, Marguerite in Faust and Micaela in Carmen. An active perfomer of sacred works and oratorios as well, her credits include Bach’s Mass in B minor, Mozart’s Requiem, Brahm’s Ein Deutsches Requiem, Verdi’s Requiem and Orff’s Carmina Burana. The granddaughter of one of Lithuania’s most revered composers and arrangers of traditional music, Jonas Švedas, Ms. Švedaitė attended the Lithuanian Music Academy where she earned Bachelors and Masters Degrees in Opera Performance and Vocal Instruction. She now resides in Southeastern Connecticut where she an Assistant Professor at Connecticut College. Hailed for his “robust” singing with “great emotional depth” Steven Fredericks has made his mark with some of opera’s most celebrated roles. Fredericks’ impressive repertory spans all styles and represents his versatility as a performer. From favorite Puccini roles, Colline and Timur, to the most heroic of Wagner’s characters, he continually explores all dimensions of his talents. 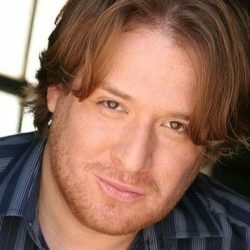 Recently, he sang Dr. Bartolo in Le Nozze di Figaro with Salt Marsh Opera, the title role in Wagner’s Der Fliegender Holländer and Tod in Viktor Ullman’s Der Kaiser von Atlantis with Connecticut Lyric Opera, Boïto’s Mefistofele with Taconic Opera and Beethoven’s 9th Symphony with The Mineola Symphony. Mr. Fredericks was heard as the bass soloist in Handel’s Messiah at Carnegie Hall, Strommenger in La Wally with Teatro Grattacielo at Allice Tully Hall conducted by Guido Ajmone-Marsan, Reinmar in Tannhäuser with The Baltimore Opera conducted by Christian Badea and Ferrando in Il Trovatore with Maestro Anton Coppola. He has frequently appeared with Maestro Vincent La Selva and the New York Grand Opera in Central Park, New York City. Internationally, he has performed with The Chuvash State Theatre (Russia) as Sparafucile in Rigoletto, and the Herald in Lohengrin, Paris/Saone-et-Loire (France) where he also appeared as soloist in Beethoven’s 9th Symphony. Notably, Fredericks created the role of Signorelli in the world premier of Louis Gioia’s Un Racconto Fiorentino at Alice Tully Hall, Lincoln Center and he sang the role of Filippo in a highlighted version of Don Carlo at the 1997 Opera America Convention in Philadelphia. “With a velvety tone and a stage presence which exudes confidence and charm…”, Mark Thomson Ketterson of OPERA NEWS declared of his principal debut with Lyric Opera of Chicago as Dandini in La cenerentola,“…baritone Levi Hernandez’s intelligent Dandini displayed a most impressive knack for subtle text-painting within a pristinely negotiated coloratura line…” Baritone Levi Hernandez has appeared with many of the opera companies in the U. S. from Opera Philadelphia and Boston Lyric to San Francisco Opera, Los Angeles Opera, Houston Grand Opera, Opera Theater of St. Louis, Chicago’s Lyric Opera where he completed three years as an artist in the Ryan Opera Center, The Metropolitan Opera, El Paso, San Antonio, Memphis, Nashville, Omaha, Minneapolis, Virginia, and Arizona Opera and internationally at Teatro Nacional Sucre in Quito, Ecuador as well as Komische Oper in Berlin, Germany. His summer festival credits include Bard Music Festival, Opera North, Charlottesville Opera and the Spoleto Festival. 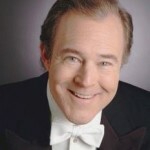 Recent performances include Sharpless in Madama Butterfly with both Arizona Opera and Chattanooga Symphony, Handel’s Alexander’s Feast with Music of the Baroque and The Messiah with The Apollo Chorus of Chicago. His 2017-2018 season included Ford in Falstaff with Intermountain Opera, Marcello with Colorado Opera, Inspector Kildare in Elizabeth Cree with Chicago Opera Theater, and Alvaro in Florencia en el Amazonas with San Diego Opera and Madison Opera. The 2018-2019 season sees him as Rambaldo in La rondine with Minnesota Opera, Rabbi Lampert in Enemies, A Love Story with Kentucky Opera, Sharpless with Virginia Opera, and Pa Joad in The Grapes of Wrath with Michigan Opera Theatre.The El Paso, Texas native is a graduate of Westminster Choir College (BM), the University of North Texas (MM), the Academy of Vocal Arts, and the Chicago Lyric Opera Ryan Center. 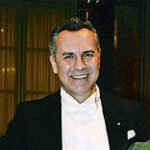 Since 1988 Paolo Bellocci is Maestro Collaboratore at the Opera di Firenze-Maggio Musicale Fiorentino and professional exepert in Italian Opera repertoire. He has gained long-standing experience as piano coaching in collaboration with famous international lyric singers such as Fedora Barbieri, Margherita Rinaldi, Gino Bechi. He holds Master Classes of repertoire, interpretation and vocality of Italian Opera for Universities and prestigious Institutions, Academies and International Music Conservatories, among which St Petersburg. He contribuites to several projects for young singers, such as International Young Artists Project, North Carolina University, Meredith College and many others. 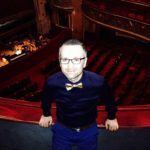 Artistic Director and Vice-President of Opera Network Firenze, he manages several activities: high level education in opera perfomances and Italian Language School for international musicians in cooperation with “Università per stranieri di Perugia”. Since April 2015 he is Coordinator of Educational Agency commissioned by Regione Toscana of the Fondazione Festival Pucciniano. He took part in the organization and production of important events, such as the concert for the World Summit of Nobel Prizes in Rome 2004; the concert in collaboration with the Headquarter of Carabinieri Corp and Rotary Medicea at the Teatro del Maggio Musicale Fiorentino; lyric concerts in St Petersburg at Marijnskj Palace, Kovatchina Palace, Hermitage Museum during Michelangelo exposition, in cooperation with Italian Ministry for Culture and Italian Consulate. In 2013 he organized the concert in honour of the President of Italian Republic Giorgio Napolitano, and Pope Benedict XVI in Vatican , with Zubin Metha conducting the Maggio Orchestra. Among other important concerts can be mentioned: at the Czar’s Residence “Carskoe Selo”, together with the Music School in Fiesole; in Moscow at the “Novaja Opera” Theatre with young Italian singers and the Russian orchestra; lyric and symphonic concerts in Romania, Australia, the Damascus Concert celebrating the 60th Anniversary of the Unicef World Foundation, for which he received an award for cultural commitment at the United Nation in New York. He is artistic consultant for many International Institutions such as the Holy See, the UNICEF Office in New York, the Municipalities of Florence, Moscow and St Petersburg, the Health System of Tuscany, the Ministry of Education, University and Research, the Institute for Italian Culture in New York, the Office of Regione Toscana in Bruxelles and others. He is often a jury member in international music and lyric contests like “Zandonai” in Riva del Garda, the “Crescendo Prize” 2010 in Florence; he is also constantly present in artistic committees for the selection of young artists. He was invited several times in the 5th European Commision SPA3 in Bruxelles by Regione Toscana, and also to explain the results of “Palcoscenico 1” Project. On 4th June 2011 Paolo Bellocci was honoured the title of Accademico at the 46th International Prize “Le Muse” in the Salone dei Cinquecento, Palazzo Vecchio, Florence. Within Fondazione Maggio Musicale Fiorentino-Opera di Firenze, he was also teacher and Artistic Coordinator of Maggio Fiorentino Formazione for more than10 years. He has been working on the production of operas and ballets, together with the greatest orchestra leaders such as Zubin Mehta, Riccardo Muti, Claudio Abbado and stage directors like Luca Ronconi, William Friedkin, Zhang Yimou, Lev Dodin, Graham Vick. He took part in the most important tours of the Foundation, among which the memorable one in Bejing in 1998 with Turandot in the Forbidden City; he was in Tokyo in 2001, 2006 and 2011 at the Bunka Kaikan and NBC theatres and at the Yokohama Opera House; in Germany at the Recklinghausen Festival and many others. 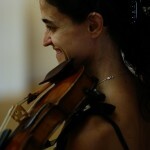 A graduate with the highest honors from the Conservatory of Fine Arts in Tirana, award-winning Albanian-American violinist BRUNILDA MYFTARAJ is currently concertmaster of the Connecticut Virtuosi Chamber Orchestra, the Connecticut Lyric Opera, and the International Greve Opera Academy in Italy. She is also the director of the Virtuosi Music Academy and the Summer Music Institute in Farmington, Connecticut, where she also teaches violin and chamber music. A student of, among others, Piero Faulli of the Quartetto Italiano, Eugene Drucker and Philip Setzer of the Emerson String Quartet, and famed violinist Rafael Druian, Myftaraj has performed as soloist with the Hartford Symphony Orchestra, the Farmington Valley Orchestra, and on several occasions with The Connecticut Virtuosi Chamber Orchestra. An avid chamber musician, Brunilda has presented recitals at the Piano and Friends Chamber Music series in Tucson, Arizona, Mostly Mozart series in Napa Valley, the Schubert Club in Minneapolis, Performers of Westchester, and many other venues. She also performed concerts and recitals in Italy, Poland, and Israel. 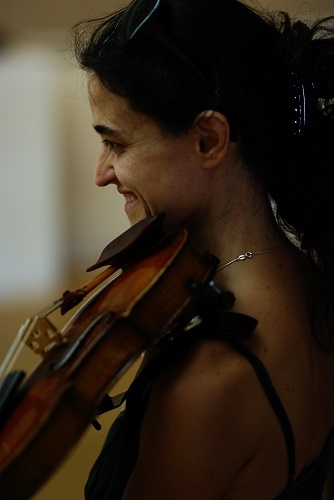 In 2013, Brunilda Myftaraj recorded an album for Virtuosi Records title “Naked Violin,” containing a program of works for unaccompanied violin by Bach, Ysaÿe, and Prokofiev; Brunilda is putting the finishing touches on a new album, titled “The American Pie,” to be released soon. That album will contain works by Ives, Gershwin, Bernstein, Amy Beach, and Paul Schoenfield. Italian violinist LUCA RINALDI is a winner of several important competitions: International Competition of Stresa, International Competition of Capri, European Competition of Moncalieri, a National Competition of Macerata, National Competition of Meda, National Competition of Savona, National Competition of Genoa, and others. 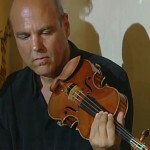 As a soloist and violinist has performed many concerts in Italy and Germany, Switzerland, Mexico, Malta, and appeared frequently with the Florentine Chamber Orchestra, The Knights of Grosseto Orchestra, The Orchestra of the Chapel of the Cathedral of Fiesole, The Orchestra Rinaldo Franci Siena”, and others. He has studied violin at the “Cherubini Conservatory”with Maestro Giorgio Ballini. He later attended the master classes of S. Mattresses, Zanettovich R. and C. Rossi. Also devoted to chamber music Luca Rinaldi has attended courses with the Trio di Trieste at the Accademia Chigiana di Siena, and at the Music School of Fiesole obtaining scholarships and awards, including the Gengaroli Award for the best chamber music performance. Luca Rinaldi is a professor of violin at the Institute of Musical Studies R. Franci in Siena. Douglas Lemke has studied the double bass since the age of six, and currently holds three degrees in performance, two from The Hartt School and one from Penn State University. He has performed with various orchestras and ensembles throughout the United States, France, Bulgaria, and Brazil, and premiered and recorded for Emmy Award-winning composer Lanny Meyers in The Legend of Sleepy Hollow. Dedicated to his music, he has participated in master classes with many instructors, including Edwin Barker, Edgar Meyer, Paul Ellison, Micah Howard, James Van Demark, Jeff Turner, and John Moore, among others. Kathleen Schiano, cellist, received her Bachelor’s Degree in Music for cello performance from the University of Kansas, and her Master’s Degree from Stony Brook, where she studied with the renowned Bernard Greenhouse, co-founder of the Beaux Arts Piano Trio. She also studied with Laszlo Varga, Peter Howard, John Ehrlich, Uziahu Wiesel (Tel-Aviv Quartet), David Geber and Daniel Avshalomov (American String Quartet). She has appeared as soloist with the Topeka Symphony, and performed with Andrea Bocelli, Perry Como, Johnny Mathis, Engelbert Humperdink, Liberace, Sammy Davis Jr., Bob Hope, and Bill Cosby. 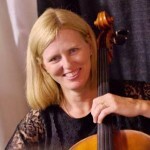 In addition to being principal cellist with the Connecticut Virtuosi Chamber Orchestra, Kathleen regularly performs with the Hartford Symphony. Giacomo Benedetti has studied Organ and Organ Composition in the conservatory “Lorenzo Cherubini” in Florence with Mariella Mochi and graduate with G. Libertucci: he studied with Matteo Imbruno, organist of the Oude Kerk in Amsterdam, following Masterclasses in Amsterdam. He studied piano with Rosa Scarlino, harpsichord with Annaberta Conti and Alfonso Fedi, basso continuo with Andrea Perugi, also following Masterclasses with Gustav Leonhardt. He worked as coworker organist in the Cathedral of Santa Maria del Fiore in Florence, in the Church of Orsanmichele, in Saint Mark’s Church; ctually he is organist in the Churches of San Miniato, Santo Spirito and in the anglican Church of Saint Mark in Florence. He collaborates with the theatre “Maggio Musicale Fiorentino” as coworker cymbalist and works in many musical associations in which he often performs as piano accompainist with singers and various musicians, cymbalist soloist and accompainist. He also collaborates with the association “Ensemble San Felice”. He took part in many organ and piano competitions winning first prizes and placements. He performs concerts as Organist, Pianist, Cymbalist and Choir Director in various contexts: International organ festival of La Verna; Japan (Yokohama ) in the “Festival Barock” as cymbalist soloist ; XIV Festival of Ancient, Renaissance and Baroque Music in Querètaro (Mexico) , International Organ Accademy of Pistoia; Haendel’s soloist concerts for organ and orchestra with the Regional orchestra Val d’Arno; Anton Bieber’s Sonatas for harpsichord and violin; Florentine Chamber Orchestra with M.Lanzetta as pianist soloist; frequent collaborations with “Florence Sinphonietta” in Florence and with the baroque Ensemble “Armonia ricercata”; bassocontinuist in the baroque Ensemble “Armonia ricercata” and “I Fiori Musicali”;he followed courses with Celestino Dionsi for flute andharpsichord in baroque chamber music; in Munich for the bavarian radio; concerts in Ausburg in the Rokokolossal and in Ausburg’s Cathedral in duo and in trio with organ and piano; in Helsinki for the Italian Institute in Finland; in Turuku, in the Cathedral and in the National Theatre; university’s choir in Florence; inauguration concerts of Legri’s organ in Calenzano with a CD recording for Calenzano’s municipality; concerts for the musical festival of Orsanmichele in Florence; realization of a DVD of a Benito Zorzit’s opera for Florence’s municipality; Choir “Armonia Cantata”; Schola Cantorum of the lutheran and anglican church in Florence; choir “Capriccio Armonico”. Born in Timisoara, Romania where he trained at the Ion Vidu Music Academy, Mr. Laurentiu’s piano instruction continued at Wheaton College and at The Eastman School of Music. 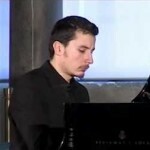 Based in Chicago, IL Luciano Laurentiu made his piano solo debut on WFMT in April 2010 and his Orchestra Hall debut in November 2015, having performed in most concert venues from Symphony Center to The Cultural Center, The Art Institute, Woodstock Opera House and many others. Mr. Laurentiu is currently Organist and Choir Master at St. Thomas The Apostle Church, staff accompanist and vocal coach at DePaul University’s School of Music and Chorus Master of the Paderewski Symphony Chorus. In the United States, Mr. Laurentiu has performed in most states from California to New York and from Florida to Minnesota. Internationally, Mr. Laurentiu has performed in Germany, Spain, Poland, Switzerland, Romania and Mexico. As a choral singer, Mr. Laurentiu has performed and recorded with various ensembles including The Grammy winning Crossing Choir and Schola Antiqua of Chicago. 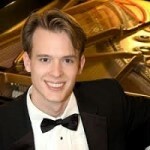 A much sought after accompanist and chamber musician, Blake Hansen holds the position of rehearsal and performance accompanist for the Connecticut Lyric Opera, Hartford Opera Theater, Hartt School Choirs, Madison Lyric Stage, and the Greve Opera Academy in Italy. He also accompanies several choirs in Connecticut, including the choirs of The Hartt School, CONCORA, and the Griswold Community Chorus. As a chamber musician, he currently collaborates with pianist and mezzo-soprano Rebecca Batista de Almeida and violin virtuoso Adrian Sylveen. Hansen has performed in notable venues such as Steinway Hall in New York City, Teatro Municipal de Niteroi, Brazil, and the Illsley Ball Nordstram Hall in Seattle, Washington. Blake Hansen graduated from The Hartt School, University of Hartford, in 2013 with a Master of Music in piano performance under the tutelage of Luiz de Moura Castro. He now performs frequently as an accompanist and soloist in the U.S., South America, and Europe. Although primarily a pianist, he also pursued studies in violin, double majoring on both instruments during his undergraduate studies at Principia College. The program offered me the wonderful experience and challenge of learning and performing a full and demanding role with orchestra. For my first full role, it was fantastic to be completely immersed in language, role preparation and performance in such a warm learning environment and coached by such experienced faculty. Coming out of the program, I feel more confident and motivated for what comes next, and I took with me very clear, individualized feedback about what and how to improve musically, dramatically and technically.